Antonio and Samantha wash up with well-water after playing in front of the house. This water is only used to wash plates, clothes and personal hygiene. 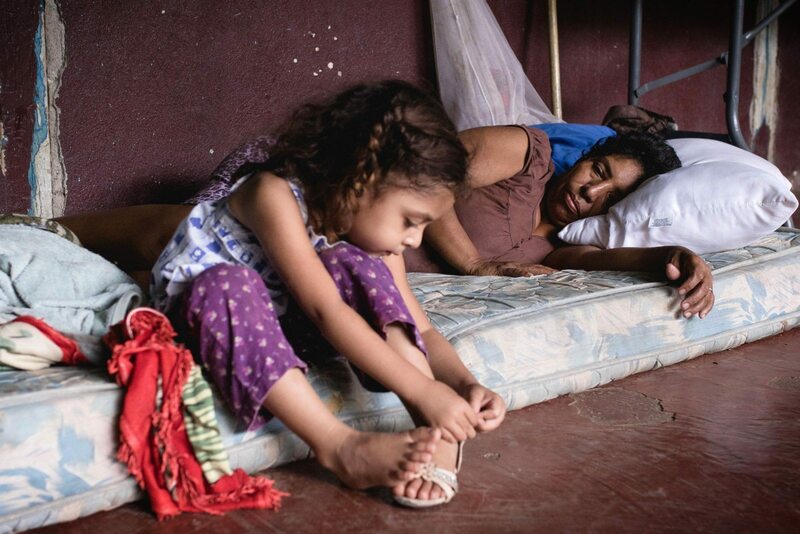 Ana Vargas helps her mother Ángela Jiménez, 48, get up from her mattress to go to the bathroom. For five days she has been lying in the bed on the ground as she recovers from a fever and body aches caused by a respiratory infection. Ángela and her entire family have been sheltered here in the Escuela Mixta de Bolsón school for 13 days, ever since Nate triggered a red alert in all of Guanacaste. While it hit Costa Rica as a tropical storm, Nate left greater damage in the province than Hurricane Otto. The Vargas Jiménez family is proof of that. Not only are they part of the group of 11,000 people who were displaced by the emergency across the country, on October 16 they were still in the shelter at the school. reached the highest windows in the house. 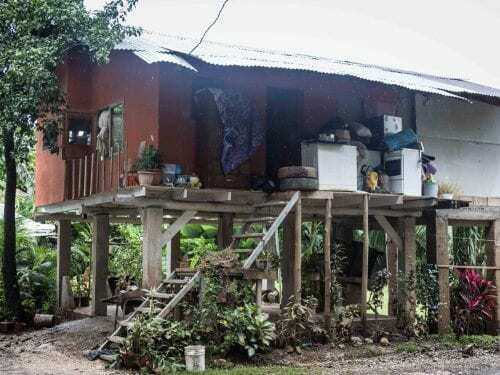 The family has two children with asthma (Samanta, 4, and Antonio, 9) who could get worse if they return to what was once their home, but what is now merely a humid shell that threatens to collapse on their heads. 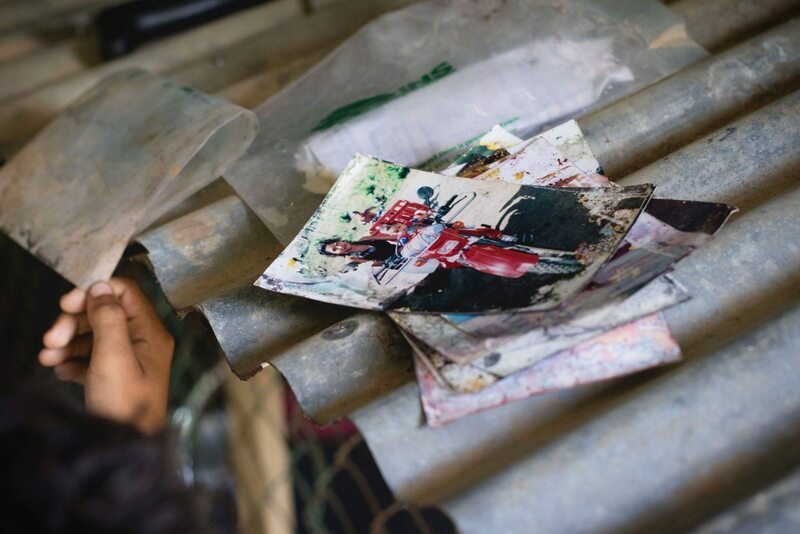 Ángela says that the social worker has insisted that they don’t return, but when the damages from the storm begin to diminish the community will start pressuring to resume classes at the school and they won’t be able to stay much longer. Getting to Bolsón from Filadelfia is still complicated. It’s a half-hour drive on a dirt road between sugar plantations and rice fields that were destroyed by flooding. There are still downed trees that block the way and vultures eating cadavers of animals that were swept away by the water. Bolsón was one of the communities most affected by Nate because it is surrounded by three rivers that all overflowed. ‘The filling,’ as resident called the floods, left them cut off for four days. Water levels rose to the point that it covered houses, forcing people to travel the streets in motorboats. Floodwaters stopped two blocks away from the school, a small, green, wooden building that housed 29 members of the community, 13 fewer than the total number of students. 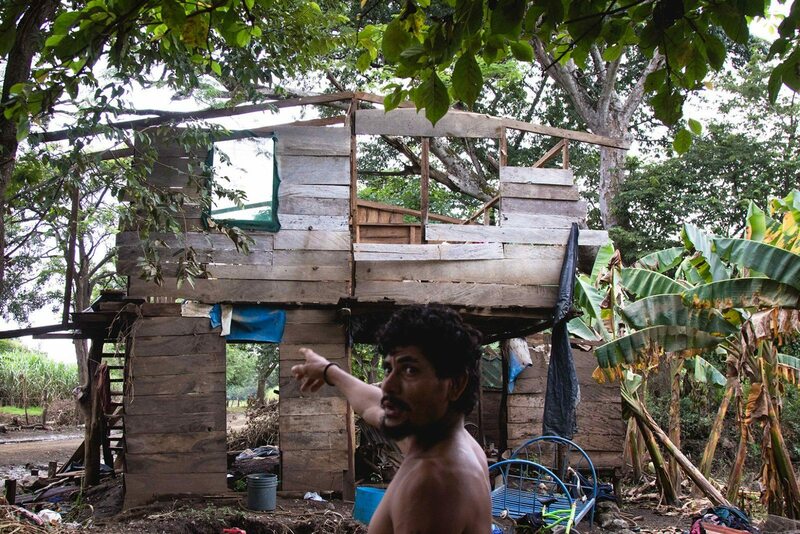 On Friday, October 20 the Vargas Jiménez family left the school and moved to a shanty that Ángela’s husband and one of her sons-in-law built in just four days. 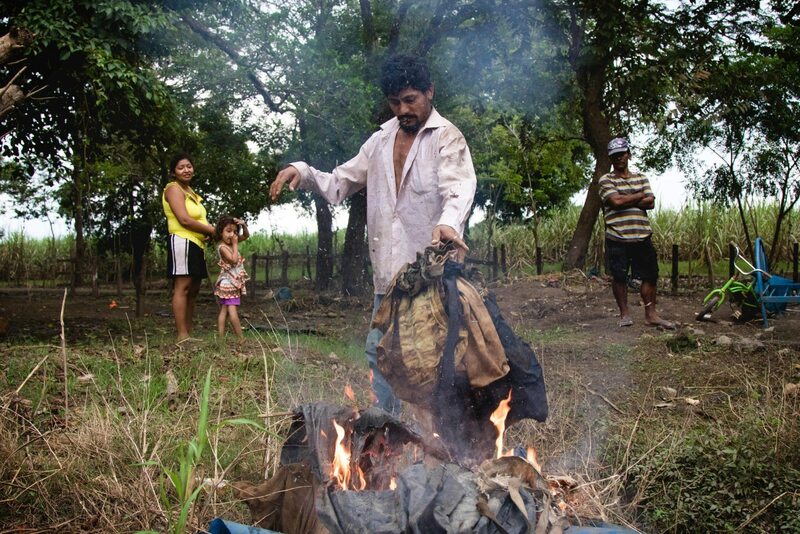 Diego burns the first of several mounds of clothes that they couldn’t save from flooding. Even without electricity and drinking water, most of the family has moved into the new dwelling. Ana, her husband Diego Rodríguez and their two children decided to return to their old house despite the social worker’s recommendations. “Here there are almost no homes to rent and the ones that are available aren’t that different from this one. 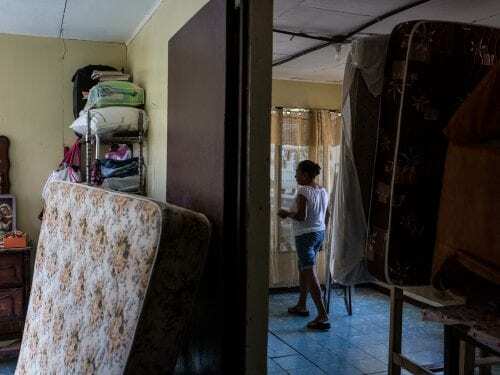 They charge ₡50,000 ($90) for rent and then you have to pay water and electricity on top of that,” said Diego, who can make up to ₡230,000 ($410) per month as a day laborer worker, enough to pay for the house and the kids. Since they never have had drinking water here, one of his neighbours, Mr. Miguel, brings them water once a week from the Ortega community so they can use it to cook and drink. For washing clothes and bathing, Diego pumps water out of a well that was contaminated by floodwaters. 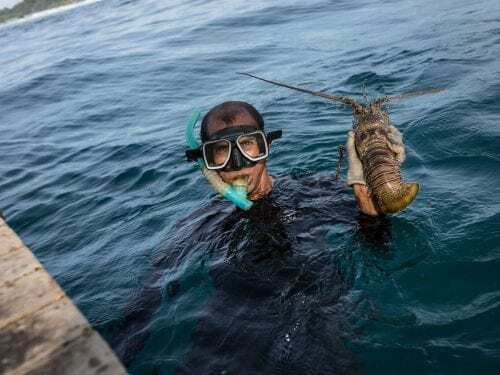 The recreational activities that have been taken to shelters with the greatest number of people, such as the one at Climaco Perez High School in Santa Cruz, aren’t offered here. Antonio Rodríguez, 9, looks for ways to pass the time with his brother and their cousins while they are  in the shelter. Diego has an informal job that doesn’t pay insurance, but this week he has had to come home early several times because he has a fever and body aches. Bolsón is a town inhabited by people with very few economic opportunities. Those who don’t have a full time job wait for dry season to migrate to the beaches and the areas where sugarcane needs to be cut. These are the few pictures Ana could save from the flood. She dries them on the school’s roof. 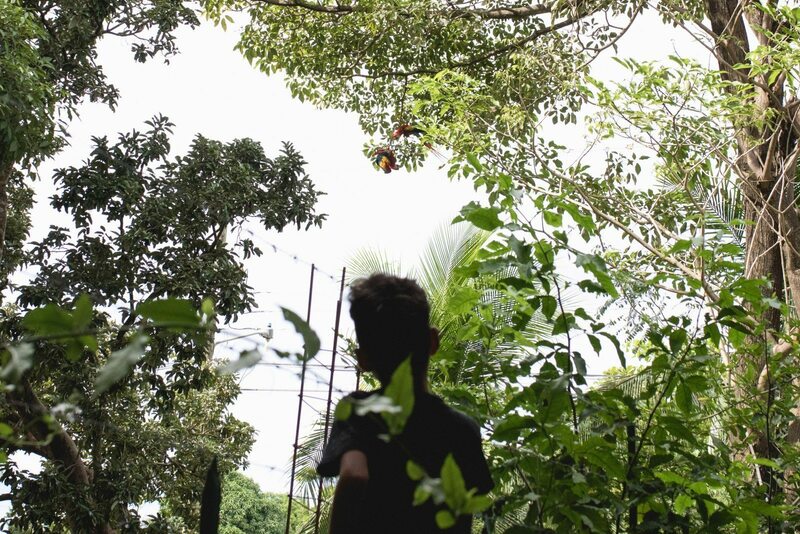 It’s been several days since they returned to their old house and Antonio, Diego and Ana’s son, is playing with a ball. His father tries to rest but Antonio wakes him up with the ball so he begins to clean the lot, piling up all the things that the water ruined. “I hope to work this whole week, but we can’t sing a victory tune yet,” Diego said as he set fire to the families damaged clothes. 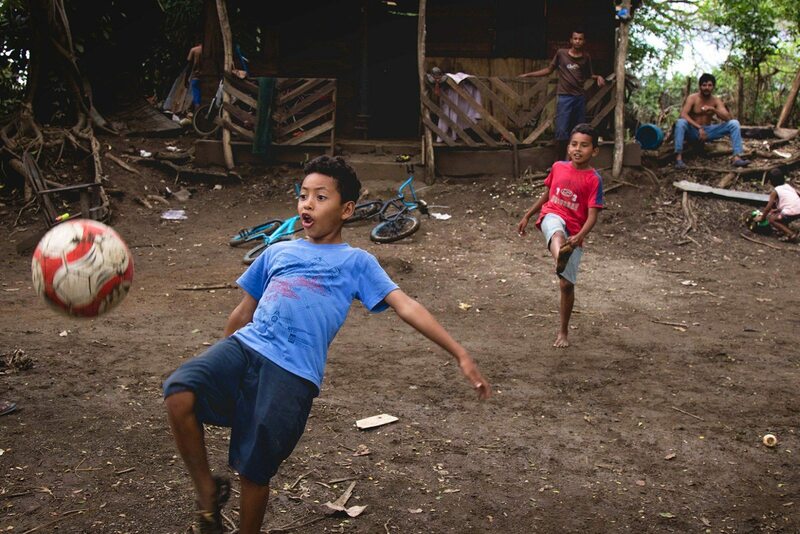 Antonio puts on his new shoes given to him by members of the Ortega community and he goes out to play soccer with the neighbors in front of his house.